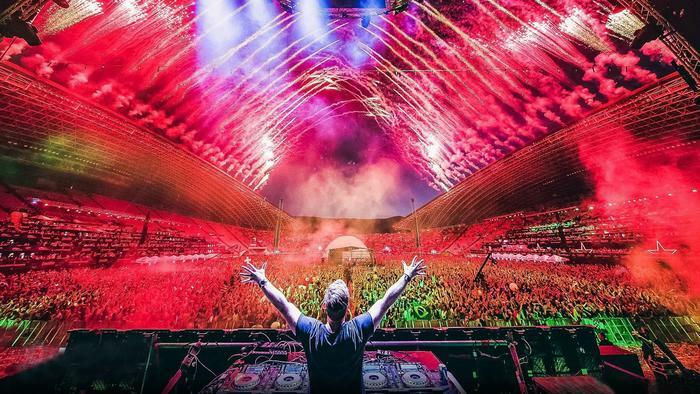 One of the world's most famous festivals – Ultra Europe Festival will take place in Croatia this year, for the fourth time in a row. From July 6h to July 8th some of the world's most famous DJs will take stage in the city of Split, after which the festival heads out to islands Brač, Hvar and finally Vis. We bring you some fun and interesting facts about the festival which gathered more than 150 000 people from all over the world in Split. This year we expect an even bigger number of partygoers! 1. The name of the festival was inspired by the album Ultra which was released in 1997 by the group Depeche Mode. 2. Festival began as a one-day music event in Miami, way back in 1999. 3. Ultra is the first festival in the world to extend the duration of the one-day show to two days, then three, until the present seven days, and in multiple locations. 4. Ultra Records and Ultra Music Festival were initially two different projects. The Ultra Records filed suit against Ultra Music for stealing their unique name. But over time both sides were able to agree that they were different, situation had calmed down, and then they joined forces and became allies in the world of musical projects. 5. You can always expect big surprises during Ultra Music Festival. In 2013 for example, one of the biggest icons of pop music - Madonna appeared on the stage, though no one was expecting her. 6. Ultra Music Festival has become popular to the extent that the organizers succeeded in hosting the show in numerous cities around the world. So today UMF entertains gathers the fans in more than 17 cities around the world, such as Johannesburg, Miami, Ibiza, Split, Bali, Buenos Aires, Santiago, Bangkok, Hong Kong, Singapore, Tokyo, Rio, Manila, Taipei, Santa Cruz, Asuncion and Lima.